FREDERICK DELIUS, in a life spent aloof from the world of professional music-making, accomplished a creative work of singular quality and poetic character. He was born in Bradford, England (Jan. 29, 1862) of purely German stock and lived the greater part of his life in France; and he was in the main a self-taught composer. The English therefore have been shy in claiming him, and have left it to a non-English musician to assert Delius's "essential Englishness" - Bernard van Dieren. "With every succeeding work he became," van Dieren has said, "more characteristically English. Shelley, Wordsworth and Keats could not call forth the magic of the English landscape and the fullness of English life with greater certitude than Delius's music does." Germany was the country where his music first received serious consideration, but in the last 25 years of his life his work was principally appreciated in England. In France, his home for 45 years, he remained virtually unknown. Delius came of an affluent middle-class family not without musical culture. His parents, however, having set their hearts on his following a mercantile career, opposed his considering music as a profession and, though the father lived to see his son make a name and the mother to see him famous, both refused ever to hear a note of his compositions. Frederick was the fourth of the fourteen children of Julius and Elise Pauline Delius, who were both natives of Bielefeld in Westphalia. As a small boy he showed musical aptitude. His sister records that when he was hardly more than a baby, visitors were entertained by his improvisations at the piano; and that at twelve or thirteen he was violinist enough to play chamber music with Joachim and Piatti, his father's guests. Delius never acquired an orthodox piano technique, but in later years his improvisations were bewitching. He was a good enough violinist in his American period to play Mendelssohn's concerto "with conspicuous success." As a lad Delius was strikingly handsome and highspirited, a horseman and a cricketer. At eighteen he left school, and in the next few years his strong-willed father did his best to make a wool merchant of the would-be musician. Then came the American episode (1884-86). The elder son Ernest had turned his back on the family business and gone sheep-farming in New Zealand. To escape from Bradford, Frederick fancifully proposed orange-planting in Florida, and the father preferred this rather than that a son of his should become "a bohemian musician." The plantation acquired was Solano Grove on the St. Johns River. There Delius left the oranges to look after themselves, acquired a piano and also the company (for six months) of Thomas F. Ward, an organist of Jacksonville, whose lessons Delius in later life declared to be the only teaching he had had worth the name. Those months were decisive. In 1885 Delius was teaching music at Jacksonville, and soon afterwards at Danville, Virginia, where 50 years later pupils retained memories of his charm and accomplishments. Meanwhile the family in Bradford had lost touch with him. When traced he was found to be earning his living as an organist in New York. His father now reluctantly agreed, as an experiment, to his going to the Leipzig Conservatory. Thanks only to Grieg's intervention, in 1888, the elder Delius finally resigned himself to his son's fancy for music. More sympathetic was an uncle, Theodore (d. 1894), who had left England to settle in Paris, whither the composer now went to live. Delius's history is now that of his development as an artist and the tale of his achievements. An event was the concert of his works given in London in 1899, the effect of which was to send him back post-haste to his study "to take up his sketches of Paris and apply the technical knowledge he had just acquired" (Eric Fenby). In 1901 came the first performance of this Paris at Elberfeld under Hans Haym, who did for Delius in Germany what a little later Thomas Beecham was, with yet more effect, to accomplish for him in England. In 1907 Delius was well enough known in Germany for his work to be the subject of an appreciative book by Max Chop; and at this time the composer had the fortune to find his ideal interpreter, of whom it has been said, "It is beside the point to label Beecham as the greatest exponent of Delius; the simple fact is that Delius's music was written for only one man to create" (Bernard Shore). In 1897 Delius had married the painter Jelka Rosen and settled at Grez-sur-Loing near Fontainebleau, in an old house with a pleasant garden. Mrs. Delius was a German, partly of Danish, partly of Jewish extraction. The German invasion of 1914 threatened Grez and Delius came to England for a time. The last ten years of his life were terrible. He was gradually crippled by paralysis, then blinded and rendered entirely helpless, though he retained his hearing and his mental faculty to the end. He was now cut off from his art, but a new link was provided by the devotion of a young Yorkshire musician, Eric Fenby, who went to live with Delius as his amanuensis and succeeded in a kind of collaboration unique in musical history. Laboriously dictating between bouts of suffering, Delius produced a quantity of new music unmistakably characteristic, if not of the first importance. The last public event of his life was his visit to London in 1929 for Beecham's festival of his workssix concerts, all of which he attended and enjoyed, though to all appearances hardly alive. He lingered on for five years, succumbing on June 10, 1934, at Grez-sur-Loing. Delius brought to music a mind and temper akin to those of some of the poets and painters of his time rather than of a typical composer. Despising the busy world of men, he was no less contemptuous of formal rhetoric, conventional learning and technique, and all that was not essentially the expression of emotion and sensibility. With his Cyrenaic appreciation of pleasure and beauty there went a passionate sense of the transitoriness of delight; but if in his music be did not direct his energy to movement and action so much as he concentrated it in sensuous meditation, his nature was anything but flaccid. His strength of mind is attested not less by the determination with which be formed a means of expression corresponding to his inmost sense of values than by the fortitude be showed in the ordeal of his last years. "In Florida," Delius said to Fenby, "through sitting and gazing at Nature, I gradually learned the way in which I should eventually find myself." Pianoforte improvisation was the material source of his music. It is a melodic-harmonic music in which the melody is characteristically involved in the harmony and reinforcing chromaticism affords variety and degrees of emotional intensity. Delius's harmony is not schematic, but is free to respond to the poetic idea, and there is a considerable range in the result, from the clear lines and economy of the Norwegian rhapsody Eventyr to the glow and liquidity of In a Summer Garden. So far as sources go, Chopin and Grieg were early absorbed. In Delius's early works (i. e., before Paris) the characteristic features are already much more noticeable than the influences. What is remarkable is that derivations from Parsifal were so thoroughly assimilated. The compositions of Delius's maturity are as peculiarly his own as Tristan is Wagner's. If he dispenses with contrapuntal and, to a large extent, rhythmic factors, this is for the sake of the still atmosphere propitious to his singing harmonies. Similarly, he has little interest in the memorable verbal phrase. The voice parts in A Village Romeo and Juliet, for instance, seem perfunctory. The compensation here, however, is generous in the singular beauty of the lyrical meditation. Sea-drift, a masterpiece, wonderful in its refined but passionate expression of moods of yearning and regret, with a background exquisitely suggestive of forest, winds and water, allows the words themselves (Walt Whitman's) more life than is usual in his settings of the poets. Delius's sense of timbre was as naturally fine as his harmonic sense and, though his scoring is not without miscalculations, it has a wholly personal character and commands resources appropriate to the full range of his poetic ideas. The sombre glow of the sound of Paris is of the essence of that rich composition, an achievement in this respect of astonishing instinct and mastery. In smaller forms, Summer Night on the River and On Hearing the First Cuckoo in Spring are consummate in every way. Delius issued his scores in a strangely bare state, very inadequately provided with phrasings and markings. Thorough editing is indispensable to a vivid performance. But if the want of this has often caused the reproach of monotony to be levelled at his music, it is not the only reason. Delius's self-engrossed musings are not without redundancies. Then his hedonism, various though its expression isnostalgic in Appalachia, rapturously content in the Violin Concerto, ecstatic in The Songs of the High Hills, despairing in Sea-drift - is oppressed with his burden of hopelessness. As Also sprach Zarathustra remains, for all its exhortations to joy, one of the most dispiritingly sad of books, so Delius's praise of beauty and delight cannot escape the intellectual hedonist's sense of "Vanity, vanity!" But the composer of A Mass of Life, if not one of the greatest, remains more than a minor master. He was more and less than a thorough craftsman. He was in the original sense of the word a poet. With his emotion, his vision and his feeling for sound he created out of the material of his art a world of his own. 1862 - Delius born at Bradford, Yorkshire, England (Jan. 29). 1869-Violin lessons from Bauerkeller of the Halle Orchestra. 1871 - In school at Bradford (Frankland's School) ; thence to Bradford Grammar School. 1876-79 - At International College, Isleworth. First composition (song, When other lips). 1880 - Enters his father's business. Is sent to Germany (Chemnitz) and in 1881 to Scandinavia and France for business experience. Violin lessons at Chemnitz from Hans Sitt. 1883-84 - Winter spent in his uncle's office at Manchester. 1884 - In March he leaves England for Florida, his father having agreed to set him up as an orange-planter. 1884-85 - Delius buys a piano at Jacksonville, a three days' journey from his plantation (Solano Grove). Makes the acquaintance of Thomas F. Ward, organist of Jacksonville, who spends six months with Delius at the plantation. 1885-86 - In August he abandons the orange grove and sets up at Jacksonville as a music teacher. Moves thence to Danville, Virginia, where he teaches music and languages, and thence to New York as organist. Is summoned home (June, 1886). 1886 - Delius goes to Leipzig in August; becomes a pupil of Sitt, Reinecke and Jadassohn. 1887 - Tour in Norway. Beginning of life-long friendship with Grieg. 1888 - First performance of a Delius work (Florida suite, composed in 1886-87), at Leipzig. Grieg persuades Julius Delius to abandon the idea of a business career for his son. Delius makes his home in France. Composes tonepoem Hiawatha, Five Songs from the Norwegian (accepted for publication by Augener's, London), etc. 1889-96 - Lives at Croissy, then (from 1890) in Paris. Compositions include Seven Norwegian Songs (1889-90), tonepoem Sur les cimes and Violin Sonata, No. 1 (1892), String Quartet, No. 1, and opera The Magic Fountain (1893), tone-poem Over the Hills and Far Away and Two Verlaine Songs (1895). Friendship with Strindberg, Gauguin, Ravel, Florent Schmitt. 1893 - First public performance of a Delius work, Sur les cimes, at Monte Carlo. 1895-97 - Composes opera Koanga (performed 1904 at Elberfeld, Germany; London, 1935), and first version of Appalachia variations. 1897 - Delius revisits Florida. Production at Christiania of Heiberg's play Folkeraadet with incidental music by Debus. Over the Hills performed at Elberfeld. Piano concerto composed; and Seven Danish Songs. Delius marries Jelka Rosen and settles at Grez-sur-Loing. 1898 - Composes tone-poem The Dance Goes On (revised later as Life's Dance); Nietzsche songs (including finale of A Mass of Life). 1899 - First London concert (St. James's Hall, May 30), including Over the Hills, The Dance Goes On, Danish songs and extracts from Koanga, conducted by Alfred Hertz. Composes Paris: the Song of a Great City (first performed at Elberfeld, under Haym, 1900; in London under Beecham, 1908). 1900-01 - Composes opera A Village Romeo and Juliet (first performed at Berlin, 1907; in London under Beecham, 1910 and 1920). Delius's father dies (Oct. 3, 1901). 1902 - Composes opera Margot la Rouge. Revises Appalachia (first performed in Elberfeld, 1904; in London, 1907). 1903 - Composes Sea-drift (first performed in Essen, 1906; in England at Sheffield, under Wood, 1908). 1904-05 - A Mass of Life (Part II performed in Munich. 1908; the whole in London under Beecham, 1909). The text is from Nietzsche's Zarathustra. 1906 - Revises piano concerto (performed in London 1907 by Szanto, under Wood). New interlude (The Walk to the Paradise Garden) composed for A Village Romeo and Juliet. 1906-07 - Composes Songs of Sunset (first performed at Beecham's Delius concert, London, 1911); Cynara (Dowson) for baritone and orchestra (London, Delius Festival, 1929). 1907 - Composes Brigg Fair: an English Rhapsody (first performed at Basel, 1907; 1908, at Liverpool under Bantock and in London under Beecham). 1908 - Composes In a Summer Garden (conducted by Delius at a London Philharmonic concert in 1909. He revised it in 1913). Composes Dance Rhapsody, No. 1 (conducted by Delius at Hereford Festival, 1909, in which year he conducted Appalachia at Hanley). 1908-10 - Opera Fennimore and Gerda composed (first performed at Frankfurt-am-Main, 1919). 1911 - Arabesk for baritone, chorus and orchestra (performed at the London Delius Festival, 1929); Summer night on the river (performed in London, 1914, under Mengelberg), Life's Dance (performed in Berlin, 1912, under Fried). Beecham's first all-Delius concert in London. 1911-12 - Song of the High Hills composed (first performed in London under Coates, in 1920); and On Hearing the First Cuckoo in Spring (Leipzig, 1913, under Nikisch, and London, 1914, under Mengelberg). 1913-14 - North Country Sketches (performed in London, 1915, by Beecham). Early in the War, at the threat of the German advance, Delius and his wife come to England. 1915-18 - Composes Second Violin Sonata (performed in Manchester, 1915, by Catterall and Forbes), Requiem (performed in London, 1922, by Coates), Concerto for violin and cello and orchestra (London, 1920, by May and Beatrice Harrison), Violin Concerto (London, 1919, by Sammons), Dance Rhapsody, No. 2 (1916), String Quartet (London, 1919, by the London String Quartet), Eventyr for orchestra (performed in London, 1919, under Wood), Cello Sonata (London, 1918, by Beatrice Harrison), A Song before Sunrise (1918). Delius returns to Grez (1917-18), then comes to London for the winter of 1918-19, while his house is occupied by French troops. 1920-21 - Composes incidental music for Flecker's Hassan (performed in London, 1923) and Cello Concerto (performed in Vienna, 1921, by Beatrice Harrison). 1922 - Signs of illness. 1923 - Heseltine's biography appears. Delius concerts at Frankfurt (Klenau) and Crefeld (Siegel). 1924 - Paralysis more pronounced. 1925 - Delius very ill, attends performance of A Mass of Life at Wiesbaden. Receives gold medal of London Philharmonic Society. 1926 - Delius becomes totally blind and helpless. 1928-33 - Eric Fenby lives in Delius's bouse, acting as amanuensis. With his help Delius recasts the unpublished Poem of Love and Life (1918-19) in new form as A Song of Summer (performed, London, 1931, under Wood), completes a song with orchestra, A Late Lark, and the sketch of Cynara, dating from 1907 (both performed at the Delius Festival in 1929) ; composes Fantastic Dance (performed, London, 1934, under Boult), an interlude for small orchestra, Irmelin (introduced by Beecham into Koanga in 1935), Idyll for soprano, baritone and orchestra, based on material from Margot la Rouge (performed, London, 1933, under Wood), Violin Sonata No. 3 (for May Harrison), Caprice and Elegy for cello (for Beatrice Harrison), and Songs of Farewell, settings of Whitman for chorus and orchestra (performed, London, 1932, under Sargent). 1929 - George V confers on Delius the Companionship of Honour. In October the London Delius Festival of six concerts, organized by Beecham, brings Delius on his last visit to England. 1934 - Delius dies on June 10, at the age of 72; temporary interment at Grez; reinterment at Limpsfield, Surrey, England, May 24, 1935. Mrs. Delius dies May 28, 1935. A Village Romeo and Juliet (1900-01). Incidental music to J. E. Flecker's play Hassan: or The Golden Journey to Samarcand (1920). Norwegian Suite, incidental music to Heiberg's drama Folkeraadet (1897). Florida (suite for orchestra, 1886-57). Paa Vidderne melodrama-recitation with orchestra, after Ibsen (1888). Marche Caprice; Schlittenfahrt, two pieces for orchestra (1888). Rhapsodic Variations for orchestra (unfinished; 1888). Sur les Cimes, tone poem for orchestra, after Ibsen (1892). Over the Hills and Far Away (1895). The Dance Goes On, tone poem for orchestra (1898). Paris: The Song of a Great City, nocturne for orchestra (1899). Life's Dance, tone poem for orchestra-revision of The Dance Goes On (1901). Brigg Fair, English Rhapsody for orchestra (1907). In a Summer Garden, fantasy for orchestra (1908). A Dance Rhapsody, No. 1 (1908). Summer Night on the River, for small orchestra (1911). On Hearing the First Cuckoo in Spring (1912). North Country Sketches: Autumn, the wind soughs in the trees; Winter Landscape; Dance; The March of Spring (1913-14). Short Piece for String Orchestra (1915). A Dance Rhapsody, No. 2 (1916). Eventyr, ballad for orchestra after Asbjornsen's Fairy Tales (1917). Air and Dance (strings) (1917) . A Song Before Sunrise (1918). A Poem of Life and Love (1918-19). A Song of Summer (1929). String Quartet, No. 1 (1893). String Quartet, No. 2 (1916-17). Sonata for Violin and Piano, No. 1 (1892). Romance for Cello and Piano (1896). Romance for Violin and Piano (1896). Sonata for Violin and Piano, No. 2 (1915). Sonata far Cello and Piano (1917). Sonata for Violin and Piano, No. 3 (1930). Concerto for Piano and Orchestra (1897). Concerto for Piano and Orchestra, revised version in one movement (1904). Concerto for Violin and Cello With Orchestra (1915-16). Concerto for Violin and Orchestra (1916). Concerto for Cello and Orchestra (1921). Pastorale for Violin and Orchestra (1888). Legendes, for Piano and Orchestra (unfinished; 1890). Legend, for Violin and Orchestra (1893). Caprice and Elegy for Cello and Chamber Orchestra (1930). Sea Drift (Walt Whitman) (1903). A Mass of Life (Nietzsche) (1904-05). Songs of Sunset (E. Dowson) (1906-07). On Craig Dhu (A. Symons), unaccompanied chorus (1907). Midsummer Song, unaccompanied chorus (1908). Wanderers Song (A. Symons), unaccompanied male chorus (1908). A Song of the High Hills (1911-12). To Be Song of a Summer Night on the Water, two unaccompanied choruses (1917). Songs of Farewell (Whitman) (1930). Sakuntala, tenor solo and orchestra (1889). Song Cycle with Orchestra, Maud (Tennyson): Come into the Garden, I Was Walking a Mile, Birds in the high hall Garden, Rivulet Crossing My Ground (1891). Seven Danish Songs with Orchestra: On the Seashore (Drachman); Through long, long years (Jacobsen); Wine Roses (Jacobsen); Let Springtime Come (Jacobsen); Irmelin Rose (Jacobsen); In the Seraglio Garden (Jacobsen) ; Silken Shoes (Jacobsen) (1897). Nachtlied Zarathustras (Nietzsche), for baritone and orchestra (1898). Cynara, for baritone and orchestra (1906-07). A Late Lark (Henley), for tenor and orchestra (1922). Idyll (Whitman), for soprano, baritone and orchestra (1932). Zwei braune Augen (Hans Andersen) (1885). Five Songs from the Norwegian: Slumber Song (Bjornsen); The Nightingale (Welhaven); Summer Eve (J. Paulsen); Longing (T. Kjerulf); Sunset (A. Munck) (1888). Seven Songs from the Norwegian: Cradle Song (Ibsen) ; The Homeward Journey (A. O. Vinje); Evening Voices (Bjornsen); Venevil (Bjornsen); Minstrels (Ibsen) ; Secret Love (Bjornsen) The Bird's Story (Ibsen) (1888-90). Three English Songs (Shelley) : Love's Philosophy, To the Queen of My Heart, Indian Love Song (1891). Two Songs (Verlaine): Il Pleure dans Mon Coeur; Le ciel est pardessus le toit (1895). Song: Plus vite, mon cheval (1895) (withdrawn from circulation). Four Songs: Der Wanderer and Sein Schatten (Nietzsche) ; Der Einsame (ibid. ), Der Wanderer; In Gluck wir lachend gingen (Drachmann) (1898). Two Songs: The Violet (Holstein) ; Autumn (Jacobsen) (1900). The Nightingale Has a Lyre of Gold (1908). La Lune Blanche (Verlaine) (1910). Two Songs for a Children's Album (1913). Three Songs: Spring, the sweet spring (Nashe) ; Daffodils (Herrick); So sweet is she (Ben Jonson) (1915). It Was a Lover and His Lass (Shakespeare) (1916). Avant que tu ne t'en ailles (Verlaine) (1919). A Dance for the Harpsichord (1919). 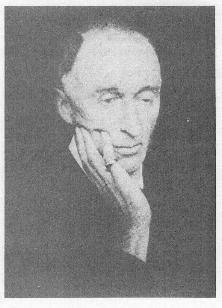 Philip Heseltine: Frederick Delius (London, 1923). Clare Delius- Frederick Delius (London, 1935). Eric Fenby: Delius as l Knew Him (London, 1936).